NEW 1ST EDITION NOW AVAILABLE! The vast openness of Texas is the source of everything that makes it unique. No other publication can display this dense, expansive landscape and its recreation potential with more precision than Benchmark’s Texas Road & Recreation Atlas. 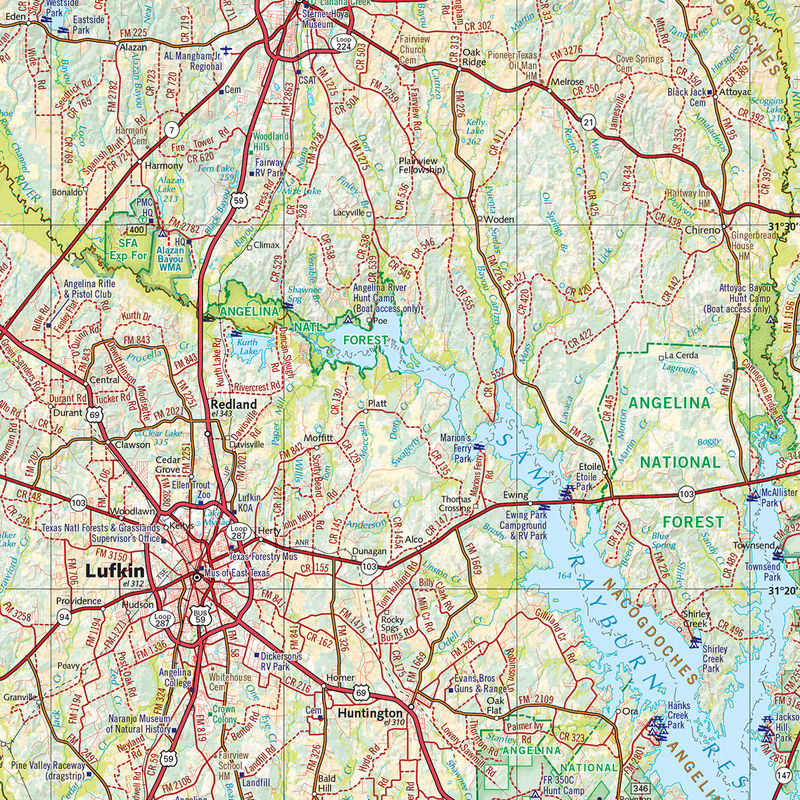 The field-checked Landscape Maps reveal back-roads & land-forms with amazing realism and detail, clearly showing how the state’s network of roads and local recreation landmarks fit into the countryside. 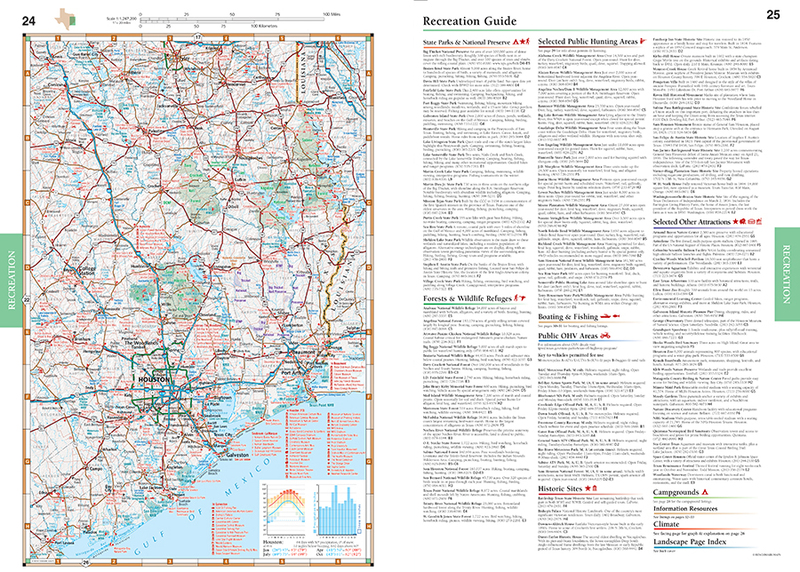 A Recreation Guide provides regional maps and lists a variety of outdoor activities. Arranged by category, it is the ideal planning tool for any adventure, from a simple day-trip to an extended exploration. 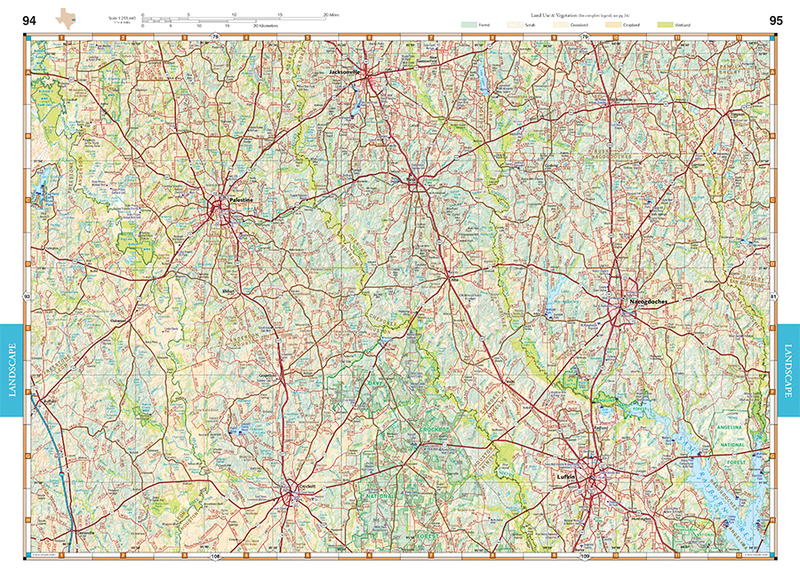 Benchmark field-checkers, cartographers, and editors have spent over two years making the Texas Road & Recreation Atlas the most accurate, comprehensive, and reliable map product ever published for The Lone Star State. Categorized listings and map features include: Parks, Monuments, & Wildlife Areas, Camping, Fishing & Boating Access, Museums & Historic Sites, and more.